Today’s post focuses on one of the most important make-up products. 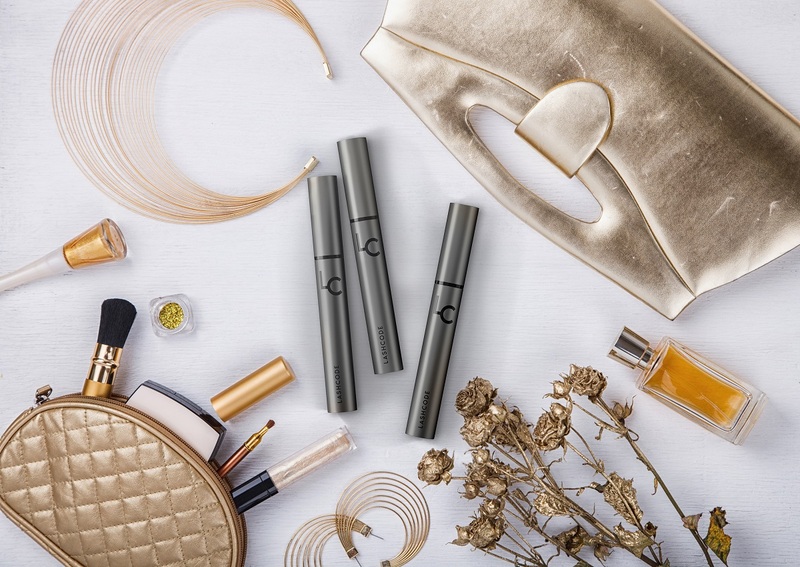 If you search for a good mascara that will gift you with a beautiful make-up in a minute, take care of each and every tiny eyelash, nourish and force lashes to grow faster – reach for Lashcode. Today, I’ll tell you why the mascara stole my heart and – so far – is without equal. Lashcode Mascara – Why I Bought It? Without doubts, this mascara caught my attention. It’s the first one including so many conditioning ingredients. The description on the website sounds really encouraging: the mascara contains Soy Extract that boosts eyelash growth; Baicalin that protects eyelashes; Wheat Extract that strongly regenerates and moisturises; Arginine that is a natural amino acid – crucial for lashes: nourishes, strengthens, delivers elasticity and facilitates the transmission of nutrients. I thought that if Lashcode paints as amazingly as conditions… it will be the cosmetic of the year (at least to me). The mascara came in a beautiful and neat packaging. I was amazed by the metal bottle. The monochromatic black matt looks fancy. I don’t like pink, golden or shimmering packagings of beauty products. Such ‘medley’ scares me because I have an impression the cosmetic has been created by someone crazy. That’s why Lashcode stole my heart from the very first moment. After untwisting the bottle and taking the spiral out, I knew the wand is solid and has a cool shape. The mascara doesn’t leave nasty clumps or stick silicone bristles together. I knew make-up would be very comfy. The spiral doesn’t scare with huge sizes. The first layer of Lashcode creates a pretty and precise day make-up, which is enough to show the lashes to the world. The wand scoops the right amount of the mascara, nicely separates and combs the lashes. None of the tiny lashes is omitted. Each one is covered with satin blackness. The mascara stays clump-free even after applying another layer. Moreover, Lashcode is very long-lasting and flake-free. I love it because I have a non-stop contact with people at work and don’t feel like checking if my mascara is on my eyelids or cheeks all the time. Lashcode never lets me down. What’s more, taking it off takes a moment. The mascara is easy to wash off with micellar water; no need to harshly rub the lashes so they no longer fall out as they used to. It’s probably thanks to the conditioning components. Generally, I truly love the mascara. Lashcode keeps fresh long and I don’t need any conditioners or primers to enjoy beautiful and healthy eyelashes. comes with a precise, silicone spiral. Has any of you used Lashcode mascara? I’m dying for your opinions! To me, it’s the best mascara I’ve ever used. Defined lashes make the final effect. Even perfect make-up with face contouring, highlighter, eyeshadow, etc. won’t make an impression if there are no long, full and dark eyelashes. that’s why I always prefer to go for excllent mascara and don’t regret spending more than usual. very tasteful, I don’t like colorful packagings either, they make me think of beauty products for little girls 🙂 And this mascara looks as good as it coates lashes 🙂 Also, it’s suitable for using is a as ellegnat gift, great thing! Actually, it really is highly-pigmented, the color is intensely black. Some mascaras just look black and depending on the lighting, they turn out to be grayish..
Is it gentle enough to use it with contact lenses?